An erratic is by definition a rock which has travelled. The huge rock on the Mont Vully made an extraordinary journey from the mountains in the region of the Furka pass. Towards the end of the last ice age, it was carried by a glacier all down the Rhône valley as far as the present Lake Geneva, then it was carried northwards to finish on the Mont Vully. 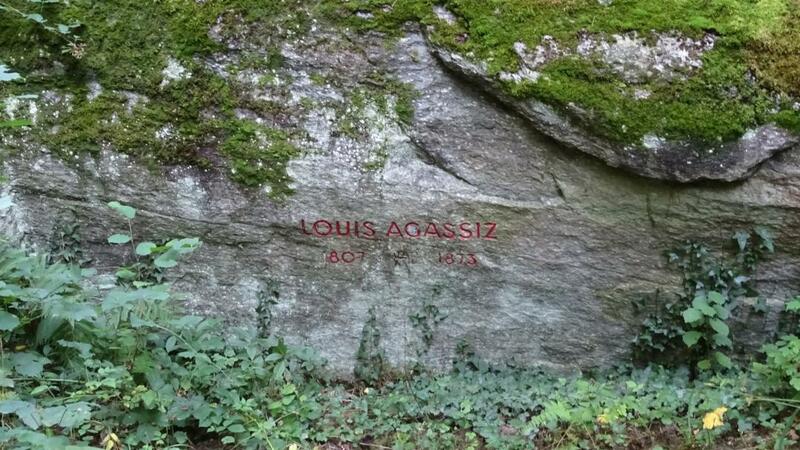 It is named the “Agassiz stone” after a famous scientist born in the Manse at Môtier. Of course a folk tale attaches also to the stone, from whence comes its alternative name of the “Rolling stone”. This stone is located on the Historical Path.